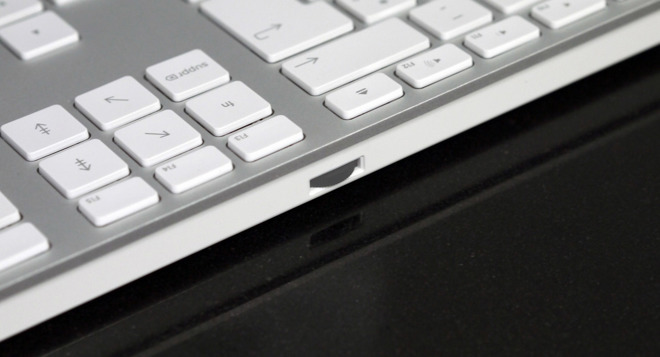 Taking some design cues from Apple's old keyboard line, Matias has released a new Wired Aluminum Keyboard to accommodate those not looking to replace batteries or charge an input device. 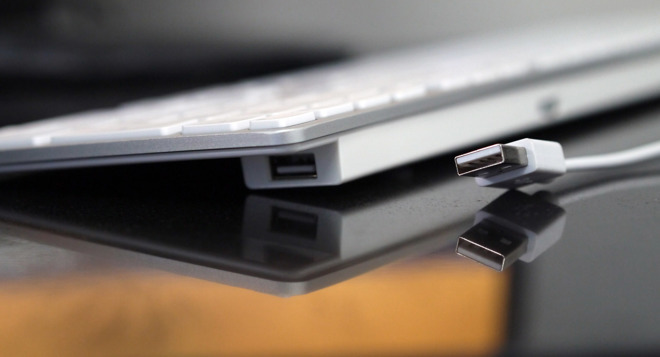 The new Wired Aluminum Keyboard comes in silver and space gray. A fixed 3.25-foot USB 2.0 cable with a type A connector provides connectivity, with pass-through devices like wired mice able to be connected through the two-port USB 2.0 hub. Matias states that a volume dial on the keyboard gives four times higher precision than the volume keys, granting 64 volume levels, versus the normal 16 allowed from keyboard controls. The normal assortment of function keys adorn the top of the keyboard. The U.S. layout is available for pre-order for $59 from Matias, with shipments in late November. Other layouts available include German, French, Italian, Spanish, Portuguese, Swiss, Nordic, Japanese, Taiwanese, and Korean. 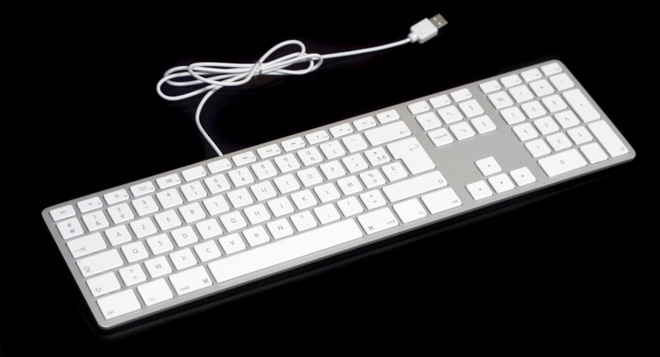 Apple's full-size Magic Keyboard with Numeric Keypad retails for $129.